Empty Spaces: Chattanooga Foundry and Pipe Co. The company was built by a man named David Giles. The massive factory that had a medical office on site, was once alive with well over 1,000 employees during its heyday. In 1899, the company was incorporated into the United States Cast Iron Pipe and Foundry Company. It was one of 12 companies in 8 states to receive a new name under the umbrella of U.S. Pipe. Of the original company that was part of the 1899 corporation, only two are in operation today. Those two plants are in Alabama and New Jersey. In the 1900’s, the plant in Chattanooga cranked out not only pipes, but also brakes for some of the first cars in the United States along with cast iron fittings, valves and hydrants. By 2003, the plant announced plans to fire 243 of their 345 workers. The firing came just two weeks before Christmas. In 2006, everyone was let go and the plant closed for good. 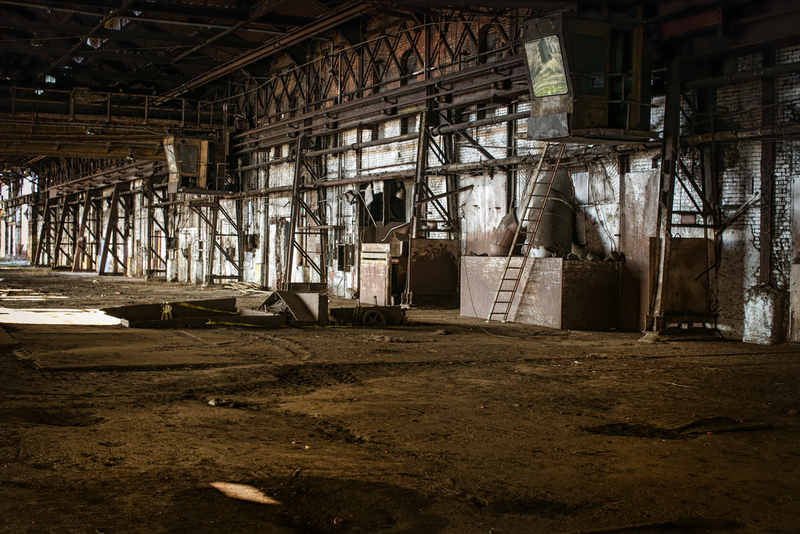 The massive structure is now a graveyard for outdated rusty machinery, soot, and metal shavings.